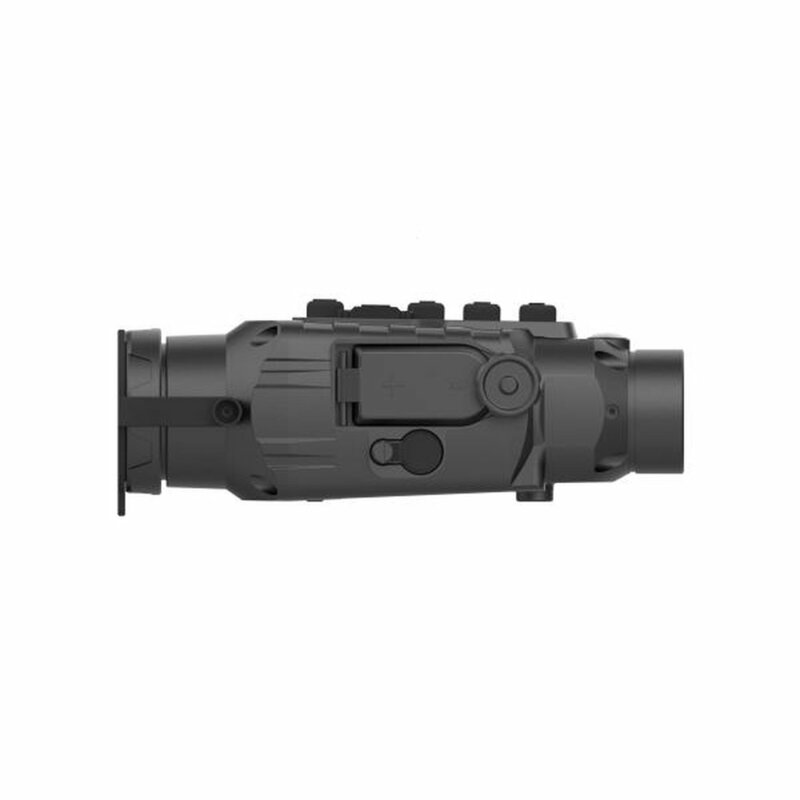 TA435 helps to transform optic sight into a night vision sight, no re-zeroing required, easy to use, excellent imaging, compact and lightweight, durable, suitable to various environments. 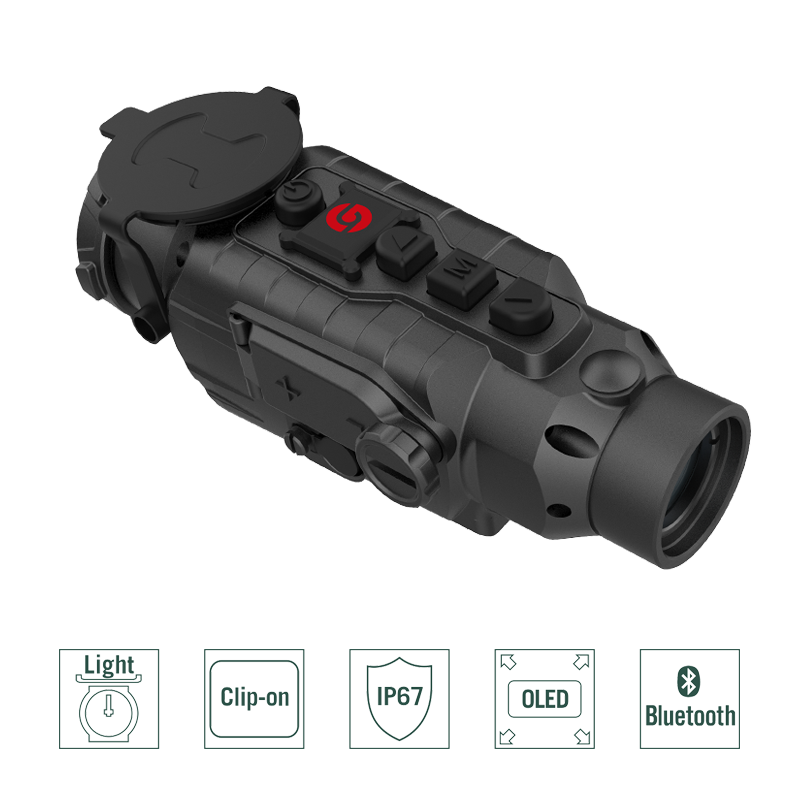 Providing excellent night time performance to most demanding wild life enthusiasts, paintball/airsoft/sports enthusiast, varmint hunter, law enforcement, or security personnel. 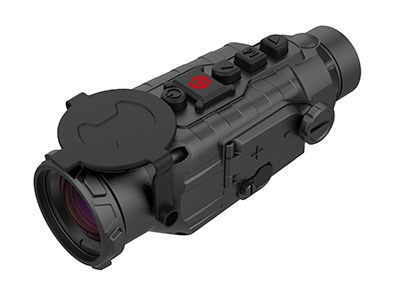 The Guide TA435 attachment revolutionizes the application of thermal imaging technology. Thermal imaging has never been so small and powerful at the same time. The thermal imaging device can be used as a multifunctional observation device (including the Viewfinder), which can be attached as a stand-alone or clip-on device to spotting scopes, binoculars, DSLR cameras or camcorders. 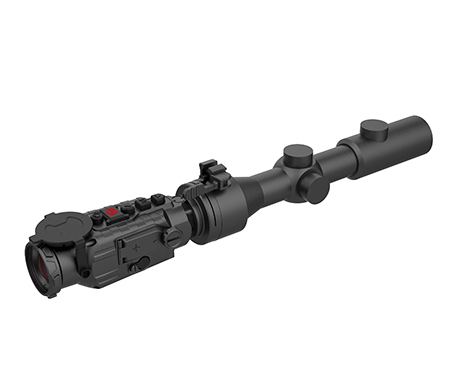 In some federal states, this device can be used as an attachment in front of riflescopes, provided that a commission according to 40WaffG exists. 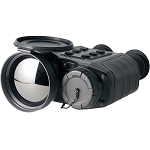 The TA435 guide can be used for both day and night observations, as well as under conditions where other optical devices (eg binoculars, spotting scopes, night vision devices) can no longer be used, especially under adverse environmental conditions such as fog, smoke and partially hidden vegetation Field of view such as high grass and light undergrowth as well as at Waldwinkelwiesen which are difficult to see by nocturnal shadow. Discover nature with this new device and turn night into day. The high-performance sensor has a resolution of 400x300 pixels with a pixel size of 17µm and a refresh rate of 50Hz. The temperature sensitivity is 50mK @ 30 ° C. This is an extremely good value! With a weight of only 380g and up to 4.2 times magnification, this device allows the detection of animals, humans, etc. at a distance of up to 1.9km. The detection of animals is possible at a distance of 900m and the response to 200m. The device is extremely small for a header (150x53x54mm) and has the currently best OLED screen, which was ever installed in a header. The screen has a resolution of 1024x768 pixels. For comparison, the Pulsar Core FXQ55 only has 640x480 pixels, which is less than half. Accordingly, mounting on a binocular with up to a 6-8x magnification is no problem. The image display has 5 separate modes; Black hot / white hot / red hot and green Hot. The power is supplied via two CR123 or two rechargeable ICR16340 rechargeable batteries, while the TA435 itself can act as a charging station or the batteries are charged via an optional charger. Of course, the device is certified to IP-67 and can withstand the most adverse weather conditions. Operability is possible via the buttons, as well as via a supplied remote control, which is remotely controlled via Bluetooth. 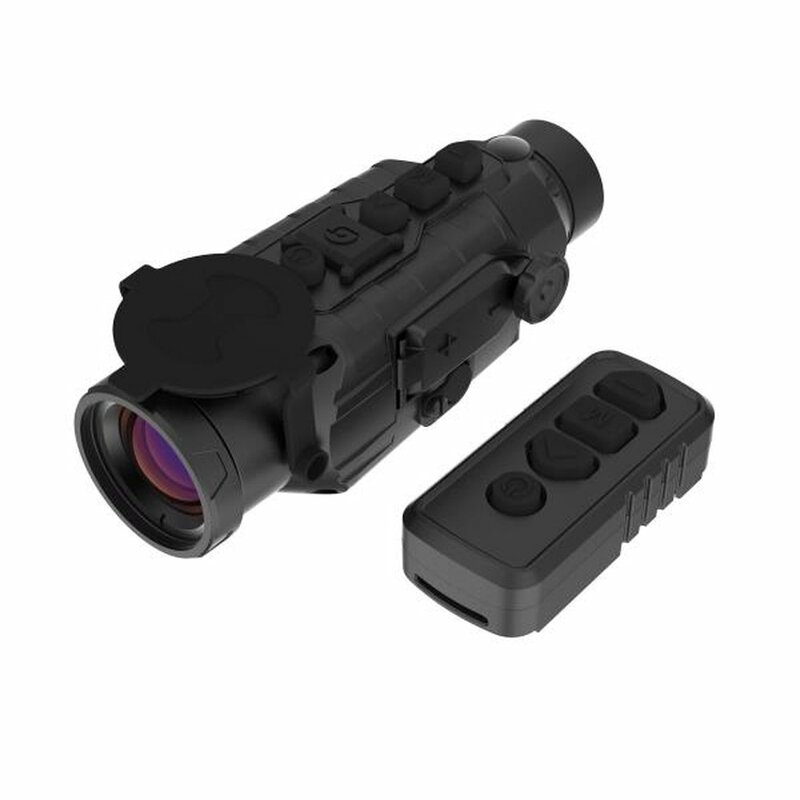 Standard: Thermal imager, user's manual, eyecup, 1 year warranty for scope, 6 months for batteries, chargers, wire and other accessories. Optional: Adapter ring, external eyepiece, CR123A 2, ICR16340 2, charger, Bluetooth remote control, magic tape, Ramote control, video converter, Picatinny bar.